Finding the perfect backpack can take a long time, but sometimes it’s best just to keep it simple. That’s exactly what American Tourister has done with its Urban Groove backpack, which is both uncomplicated and thoroughly affordable. Measuring 44 x 32 x 24 cm and weighing 400g when empty, the Urban Groove is super-light. 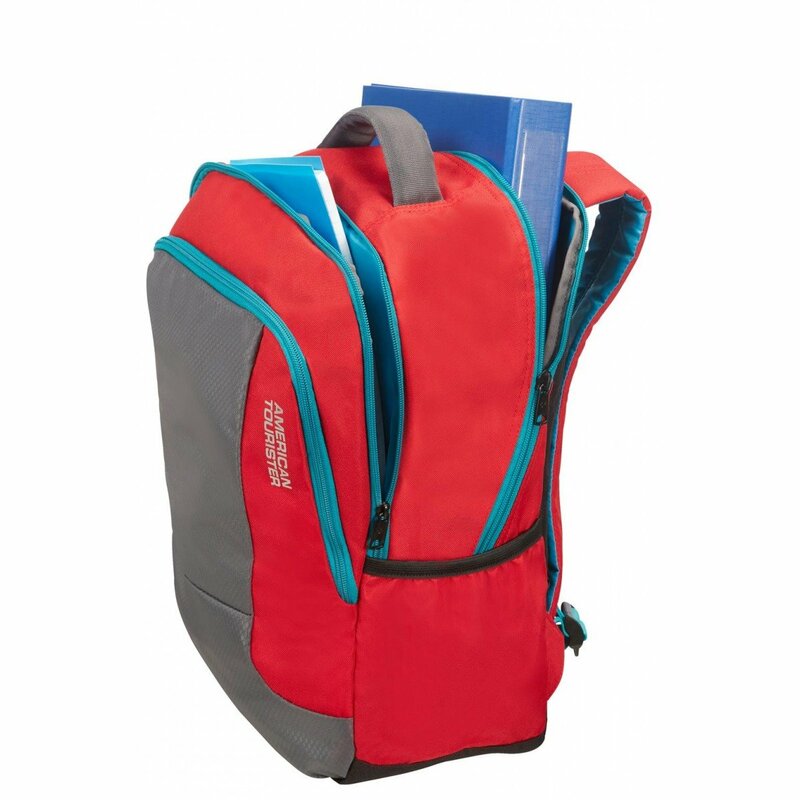 Consequently, the materials used are rather simple, and the backpack straps suffer. Would you want to hike up the mountain with a semi-padded polyester bag with uniform straps? No, absolutely not, but it’s absolutely fine if you’re just planning a simple city tour. The Urban Groove comes in three sections. The rather flat front section is where you’ll find four pockets for pens, passports, phones and portable batteries. There is little room here for anything that isn’t very flat, but it’s a useful pocket nonetheless. Just behind it is another flat pocket, but much larger, which can take a 15 inch laptop … just about. The main compartment, accessed by a U-shaped zip on the back of the bag, is what takes most of the 29 litre capacity of this backpack. We were able to put enough clothes for an overnight trip for two inside here, plus two coats when the weather got a bit warm. The two elastic pocket on the side are also handy for storing an umbrella and a bottle of water, both common accompaniments to any city tour. It’s not going to win any awards, and nor is it going to ascend many mountains, but the American Tourister Urban Groove is a very good value occasional backpack that’s small and light enough to compress down, put in a suitcase, and used as part of a longer trip.